When you need a high-quality printing solution for desktop and workgroup document production, the Canon imageRUNNER LBP Series of laser printers delivers. This new generation of LBP Series is network-ready and integrates with your Canon MFPs better than ever for an outstanding fleet and Managed Document Services solution. Innovative device communications allows users to automatically route faxes from a Canon MFPs directly to the LBP printer. 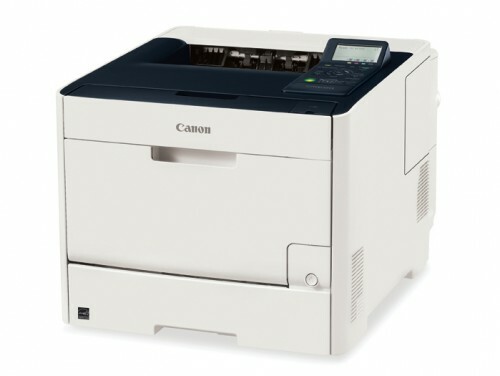 Canon's MEAP technology is available on this LBP model, bringing MFP workflows conveniently to the desktop as well, maximizing user’s efficiency. And with the same administrative technology found in imageRUNNER ADVANCE MFPs, users can manage LBP printers alone or in a fleet/MDS environment with even greater ease. The Color imageRUNNER LBP5280 model is a new-generation, color desktop laser beam printer that allows users to output up to legal size documents for their workgroup needs with speeds up to 21 pages per minute (letter). The imageRUNNER LBP5280 model features a 5-line user-friendly LCD for operational ease and comes standard with PCL, Adobe PostScript 3, and Canon's UFR II printing technology. The imageRUNNER LBP models are equipped with standard duplexing to save paper costs, and employ Canon's RAPID fusing technology to reduce energy consumption and eliminate long warm-up times.